The NYC Whiskey Walk takes place in downtown New York City. Each venue will be prepared for your arrival. 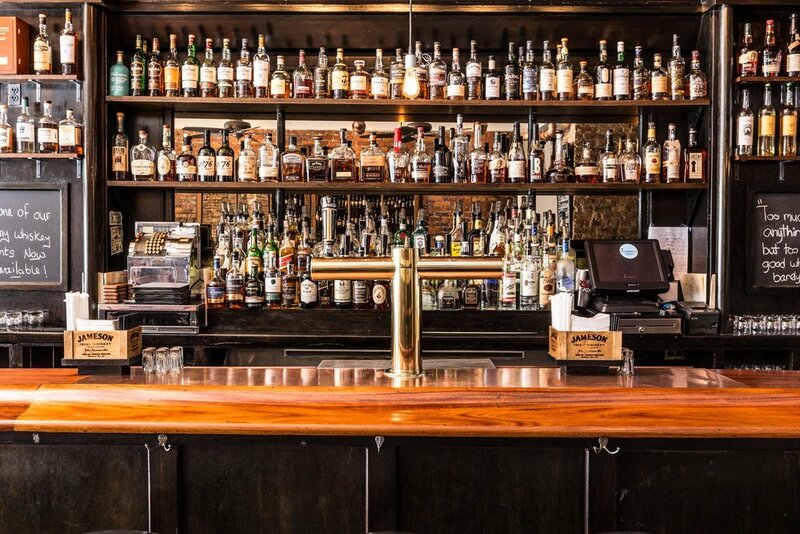 Maybe you have been to a few of these bars and restaurants already, and maybe not; either way, the Whiskey Walk is a great way to visit new places and check out their offerings. Find a place you really like? Ask the staff about hosting your next birthday party, special event or office happy hour. All venues are within relative walking distance. Nose: Slane Irish Whiskey marries toasted grain and malt whiskeys with the distinctive flavours of each cask. Taste: Smooth with notes of oak and spice, each sip represents a journey through the wild countryside and the chance to uncover the subtle layers of the whiskey’s complex character. Finish: Smooth, complex and robust. Nose: Sharp, grassy maltiness and a touch salty. Full of character. Taste: Ultra malty start, rich textured and mouthwateringly in the Clontarf style. Finish: Varying shades of malt, then a late oaky complexity. Nose: Light and fruity with spicy aromas and vanilla notes developing into crème brulee. Taste: Whiskey lends a gentle, warming mouthfeel with a touch of honey sweetness. Finish: Crisp and fresh with a touch of spice. Taste: Spiced, rich palate with rose petal jelly and lemon curd. Creamy vanilla, hints of dried herbs and cinnamon. Nose: Light, sweet citrus and green apple combined with vanilla undertones. Taste: Early fresh fruit leads to a definite light spike followed by some toasted wood which evolves into a delicious vanilla sweetness. Finish: Put the glass down as you sense the almost buttery mellowness. Nose: Floral and fruity character, accompanied by aromas of sweet almond and baked green apple. Taste: Incredibly smooth with notes of vanilla, honey-like sweetness and gingerbread spice. Finish: Strong and long finish with a character of toasted wood and honey. Nose: An initial aroma of freshly cut hay is complemented by a crisp orchard fruit character - green apples and pears, with a twist of lime zest. Mild pot still spices appear, deepening from green tea to hazelnut and milk chocolate. Taste: The initial sweet mouth coating typical of the Irish pot still inclusion is quickly complemented by the subtle touch of hops and cocoa beans from the beer cask finish. Finish: Long and sweet with milk chocolate and butterscotch. Nose: A light floral fragrance, peppered with spicy wood and sweet notes. Taste: The perfect balance of spicy, nutty and vanilla notes with hints of sweet sherry and exceptional smoothness. Finish: Incredibly smooth and mellow. Whiskey Walk® is a federally registered trademark.